Time travel is a concept of traveling back and forward to different points of time. There are theories that we move forward in time and both forward and backward in space. Since time and space have been shown to be inherently linked, traveling forward and backwards through time is not theoretically impossible. Traveling at speeds close to the speed of light can cause a time dilation causing the traveler to pass through time more slowly. External time would be going much faster, causing the travelers final destination to be farther into the future. Other outcomes explored would be subject to particular change and reactions within the process, parallel universes, and alternative history wherein certain events may or may not have taken place, ultimately causing mass change in the future. The concept of time travel in physics has been used to examine the consequences of physical theories such as relativity, general relativity and quantum mechanics. Einstein’s Special Theory of Relativity permits a kind of time dilation that would ordinarily be called time travel. The theory goes that relative to a stationary observer, time appears to pass more slowly for faster-moving bodies. For example, a moving clock will appear to run slow; as a clock approaches the speed of light its hands will appear to nearly stop moving. However, this effect allows “time travel” only toward the future: never backward. It is not typical of science fiction, and there is little doubt surrounding its existence; time travel will hereafter refer to travel with some degree of freedom into the past or future. Einstein’s equations tell us that the possibility of time travel involves those most extreme objects, such as, black holes. Since Einstein’s theory is a theory of space and time, then black holes would offer a way to travel through space and time. At the heart of a black hole is a point known as singularity, where space and time cease to exist and matter is crushed to infinite density. Therefore, a simple black hole won’t work for time travel. Roger Penrose of Oxford University proved that anything which falls into such a black hole must be drawn into the singularity by its gravitational pull, and also crushed out of existence. See illustration below. His illustration consists of two chambers, each containing two parallel metal plates. The intense electric fields created between each pair of plates (larger than anything possible with today's technology) rips the fabric of space-time, creating a hole in space that links the two chambers. Taking advantage of Einstein's special theory of relativity, which says that time runs slow for a moving object, one of the chambers is then taken on a long, fast journey and brought back: Time would pass at different rates at the two ends of the wormhole, and anyone falling into one end of the wormhole would be instantly hurled into the past or the future as they emerge from the other end. According to one interpretation of quantum physics, every time a quantum object, such as an electron, is faced with a choice, the world divides to allow it to take every possible offer. In the simplest example, the electron may be faced with a wall containing two holes, so that it must go through one hole or the other. The Universe splits so that in one version of reality -- one set of relative dimensions -- it goes through the hole on the left, while in the other it goes through the hole on the right. Pushed to its limits, this interpretation says that the Universe is split into infinitely many copies of itself, variations on a basic theme, in which all possible outcomes of all possible "experiments" must happen somewhere in the "multiverse". The General Theory of Relativity extends the Special Theory to cover gravity. It does this by assuming that matter “curves” the space in its vicinity. But under relativity, properties of space are fairly interchangeable with properties of time, depending on one’s perspective, so that a curved path through space can wind up being a curved path through time. In moderate degrees, this allows two straight lines of different lengths to connect the same points in space; in extreme degrees, theoretically, it could allow time lines to curve around in a circle and reconnect with their own past. General relativity describes the universe under a complicated system of “field equations,’ where there exist solutions to these equations that permit what are called “closed time-like curves,” and because of this, time travel into the past. The first and most famous of these was proposed by Kurt Gödel, which is that all known current examples require the universe to have physical characteristics that it does not seem to have. Whether general relativity doesn’t allow closed time-like curves for all realistic conditions is unknown. Most physicists believe that it does, largely because assuming some principle against time travel prevents inconsistent situations from occurring. 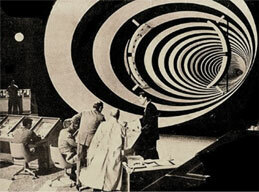 Frank Tipler developed a spinning cylinder as another approach to time travel. 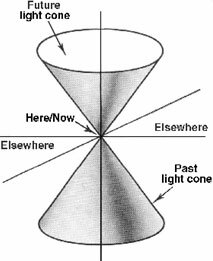 If the cylinder is long and dense and spins fast enough about its long axis, then a spaceship flying around the cylinder on a spiral path could travel back in time (or forward, depending on the direction of its spiral). The density and speed required is so great that ordinary matter would not be strong enough to construct the cylinder though. Man has always looked for a way to travel through time. We move through the loops of time as they spiral from reality to reality. This is not a physical event but more of a movement of consciousness through a matrix of grid realities that has no boundaries. Reality is a virtual learning experience in which linear time is used to create programs of emotions. Reality is created by a consciousness program that we call source, God, or whatever term you choose to use. It is a reality in which all experiences are happening at the same time (also known as the “Slinky Effect”. This reality is known as the “Third Dimension” based on the geometry that all things in 3D follow the same patterns that repeat in patterns over and over and these patterns are called time. 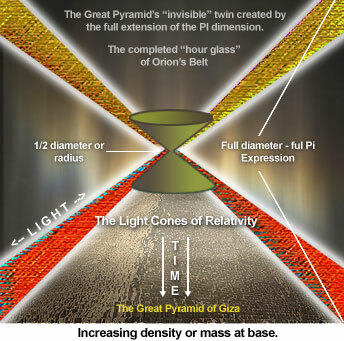 From that consciousness there are 12 pyramids of light that surround the source of creation consciousness. This consciousness creates programs of experience which are projected as rays of light to the 12 pyramids connecting to each other and to the ‘source’ creating a matrix, grid, and hall of records that sources could experience. This matrix multiplies into an endless number of programs based on sound, light and color frequencies. Souls are now free to roam the grid experiencing in one or more realities. Synchronistic movements bring about this third dimension reality which is at the bottom of the spiral creating electromagnetic energies which gives them polarity of positive and negative. Pyramidal energies reference the number 3. Time and the movement of time are connected to the number 12 (1+2=3, or the third dimension). Three is the number that allows things to manifest in physical expression through the combination of sound, light, and color frequencies. To become invisible you have to remove one of those ingredients which remove your experience from the concept of time. This may be easier to understand if you consider that during dream time, meditation, or remote viewing, time no longer exists. The concept of time appears to be moving faster to most of us in our present timeline. The gears that create the illusion of time are breaking down. If you view this through the slinky effect (graphic below), the bottom of the slinky is losing its integrity, therefore soul consciousness is moving out of the third dimension into a higher spiral or dimension. When time slows down it actually feels like it is speeding up so if you are feeling that time is passing you by, you are moving up the spiral right on cue. Many of us are experiencing temporal anomalies of missed time that have nothing to do with such concepts as mind control, mental illness, nor alien abductions. Those that work with time can see these “hiccups in time”. So how do we take our bodies out of the third dimension into physical space and time? It is believed by some that it is just a matter of shifting one’s consciousness. Others believe a device such as a time machine can make this happen. Both the Nazis and Americans experimented with time travel during World War II. The Philadelphia Project involved time travel through both space and time. To date there is no public knowledge of a time machine that has been successful.